The client was looking to update their old business cards into a design that was sleek and modern but could also utilize UV coating and foil stamping capabilities. The most difficult part of arriving to final concept was coming up with a design that used foil stamping and UV coating together without it being a lot happening in such a small space. Due to the reflective nature of foil stamping, I used it to bring the recipient to the name of the employee and their contact information. The only UV coating is on the logo. 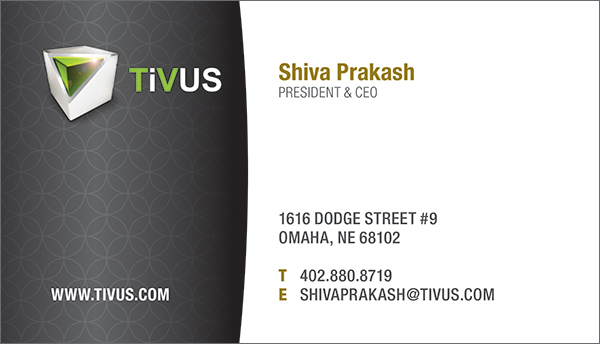 The client appreciated the tasteful use of their requested elements as well as the clean, modern look of the overall card.